Prepare for your excursions with a wide range of camping gear and outdoor clothing from our specialty sports store in Salida, Colorado. 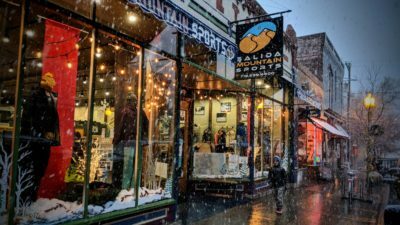 Salida Mountain Sports specializes in outdoor clothing and camping products to met all your needs. We have the service, experience, and selection you need to take on the wilderness. From tuning to custom boot fitting, our knowledgeable staff is waiting to help you. Contact us or visit our convenient location on 1st and F Street today.